As Christians we recognize our biblical responsibility to care for creation; we work together to encourage, educate, inspire members and neighbors to join in protecting and caring for God’s creation. Formed in April 2017, the Creation Care Team seeks to discover and carry out ways for House of Prayer to actively carry out God’s call to care for creation. This involves many aspects of our lives on this planet, from climate, energy, environment, fossil fuels, food, natural gas, oil, population growth, soil, technology, transportation, toxics, waste, water, wood – all having consequences whether we act or do not act. Exploring the six-video series “Earthbound” in Wednesday evening Bible study last fall. This focused on dominion, stewardship, and taking care of our earthly home. Setting up a display during coffee hour one Sunday with info on non-toxic cleaning products, energy-saving tips, and ideas for a “greener” holiday season. Nathan Bauer won the drawing at that event for the birdhouse made and donated by Gil Frosig. In January, we showed & discussed Al Gore’s new film, “An Inconvenient Sequel: Truth to Power,”a dramatic view of what is happening around the world because of climate change. 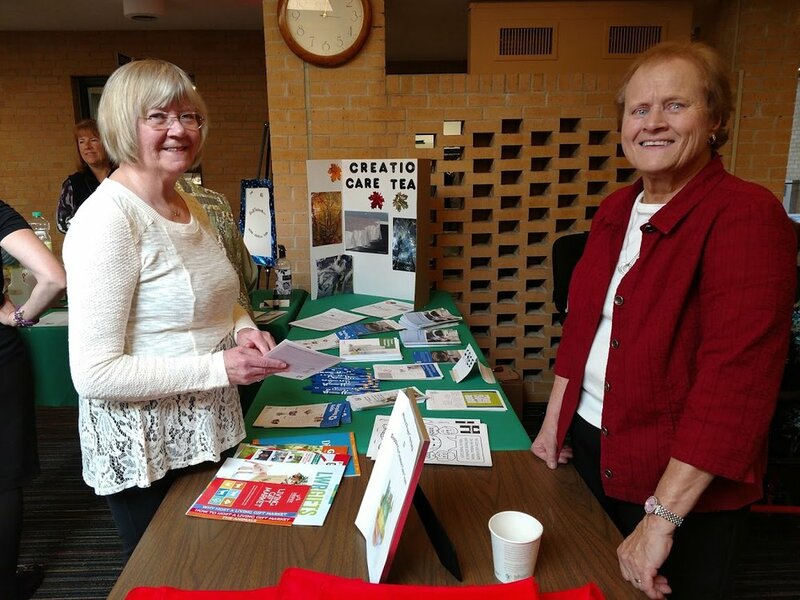 We partnered with church staff to assess the congregation's current sustainability efforts and explore improvements like better signs & bins for recycling, eliminating styrofoam use, and saving energy. Current Creation Care Team members are Karen Steenson (chair), Darlene Clauson, Mary Markes, Myrt Thom, Sandy Williams, and Pastor Ben Sandin. Let us know if you have questions, ideas, concerns, topics of special interest, or anything you’d like to discuss. New members are also welcome! Shut off your computer - 75% of all the electricity used in the house is standby power to keep electronics running. Shut down your computer when not in use and you can save about $70 a year. Change your lightbulbs. - CFLs use 1/4 of the electricity and last years longer. LED bulbs are even more efficient. Say NO to plastic bags - They are typically made of polyethylene and can take up to 1,000 years to biodegrade. Reduce plastic-bag pollution by using a reusable cloth bag instead of wasting plastic ones. Check the label - Look for the Energy Star label when purchasing new appliances and products. 2017 ELCA Statement on "Caring for Creation: Hope, Vision, Justice"